Tiger Woods Wins His 15th Major Championship and his 5th Masters. 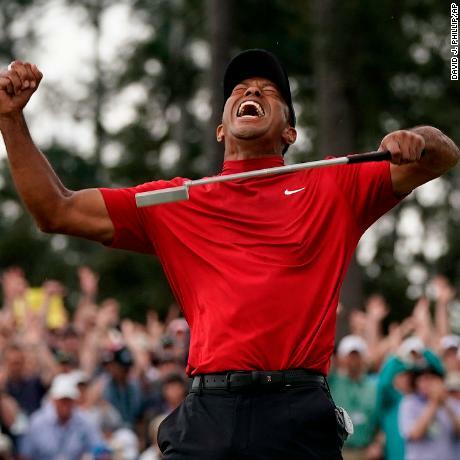 Tiger Woods has won his 15th major championship and his 5th Masters, shaping and creating the best sports comeback story of our time. Tiger's story should inspire everyone in the world to fight everyday of your life for what you love and what you believe in and never give up and never stop trying. Just a few short years ago Tiger was in such physical pain that he would barely walk and he thought his days on the golf course were over. Now, Tiger Woods is the 2019 Masters Champion.